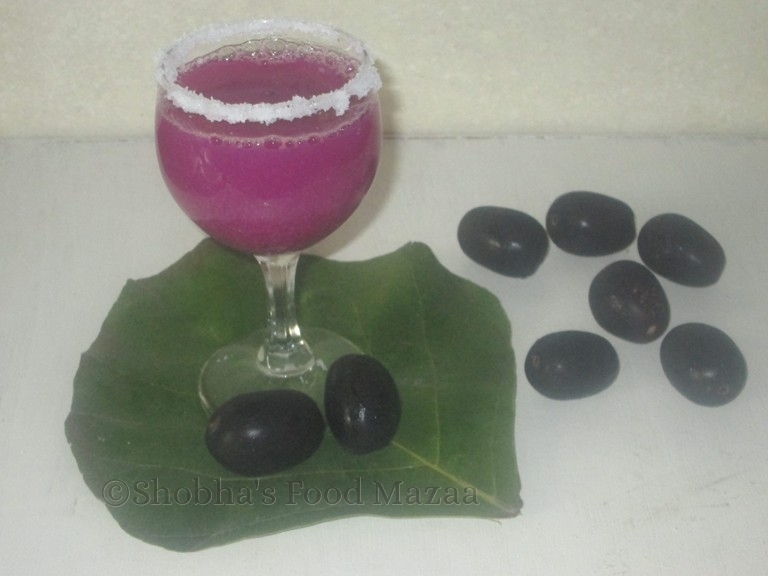 Kala Jamun (meaning black plum) is an Indian plum which is actually dark purple in colour. It has sweet and sour taste and kids simply love this fruit because the tongue gets a purple colour after eating. Couple of days ago a friend gifted me a box full of fresh kala jamuns bought from the local farms. They are amazingly fresh and sweet. We ate a lot of them on the very first day. There are so many left still and I thought of trying out some cool summer recipes with them. To start with I made some juice which was really refreshing. 1. 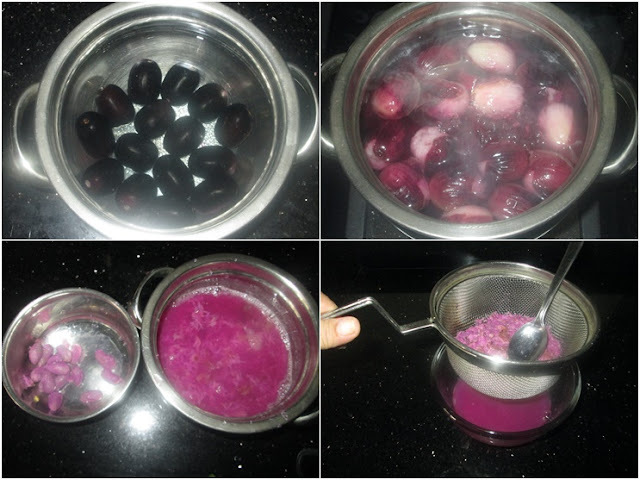 Wash the jamuns and boil them in 3 cups of water, sugar and salt. Simmer until done..
2. Remove from the gas and let it cool down to room temperature. 3. Squeeze the boiled jamuns well and discard the seeds. 4. Strain the juice into a bowl squeezing out the liquid well from it. 6. Refrigerate it until you serve. 7. Dip the edges of the serving glass in water and then in the salt spread in a plate. 8. Pour the chilled juice and serve. what a beautiful colour. I bet it is delicious too. Now I know how to get that beautiful deep purple colour.. must boil the jamuns. Love the fruit when its in season here. 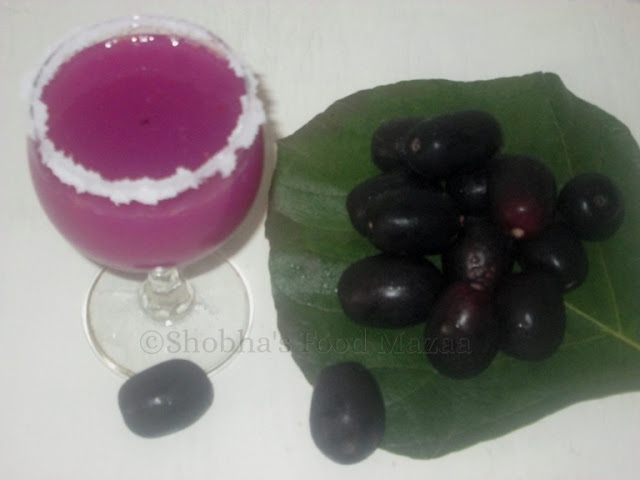 You must try this kala khatta drink when the fruit is in season.